Fostering a dog is not a lifetime commitment, it is a commitment to save a life. 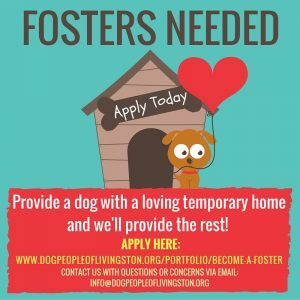 Fostering is free! We cover all veterinary expenses and provide any supplies needed to care for your foster. Foster homes are always needed for dogs and puppies of all ages and sizes. My name is Amy Burris and my husband and I have been fostering for nearly four years. My husband and I adopted our first dogs as a couple in October 2009. We adopted a yellow labrador retriever and a basset hound from a high-kill shelter. Over the course of the next few months, we felt a growing need to do more to assist homeless dogs in East Baton Rouge parish. We began volunteering at adoption events and in early 2010, we took on our first foster dog. 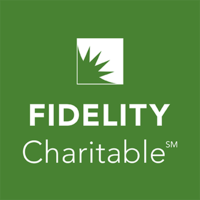 Over the past four years, we have fostered 38 dogs and assisted with countless adoptions. We have fostered all types of dogs, but mainly big, older dogs with health issues. These dogs are at major disadvantages in shelters. We have had all types of dogs at our home, from German Shepherd Dogs to St. Bernards to Labrador Retrievers. No dog is too big or too old for us. 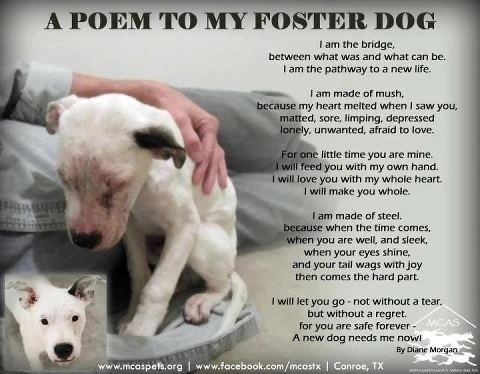 Many people think that the hardest part about fostering is that you will be very sad when the dog gets adopted. We feel the exact opposite. While there have been some dogs that were very special to us, we are always thrilled when our foster dogs get adopted because it gives us the ability to save another life. Also, we almost always keep in touch with our adopters so the most rewarding thing is to get updates on foster dogs. One of our adopters texts me at least once a week with updates and pictures and another moved to the Bahamas and takes the dog to an oceanside dog park everyday. It is truly rewarding. Many people also believe that if they foster, they will get stuck with the dog or never get the ability to adopt a dog out. The majority of our dogs have been adopted within a month. 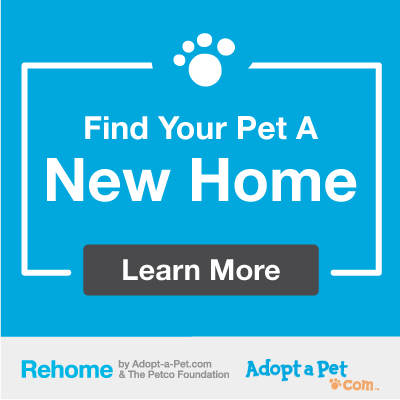 If you attend offsite adoptions and utilize Petfinder and social media networking, people are more likely to learn about your dog. We have had older dogs with health problems that we thought we would have forever, but those were some of the ones who were adopted quickly. There is someone out there for every dog. a subdued, scared version of the dog. One of the best parts of fostering is to watch your dog come out of his shell and become the dog that he once was. Fostering has changed our lives forever. There is no better feeling than saving dogs lives and also changing the lives of those who adopt your fosters. It is an immeasurable value to know that your actions have an effect on countless people and dogs.